April Fool’s Day. Sometimes Easter. Tax Day. April has just a few staple holidays (okay, Tax Day is not something to really celebrate). What about all the other offbeat holidays that are worth recognizing? 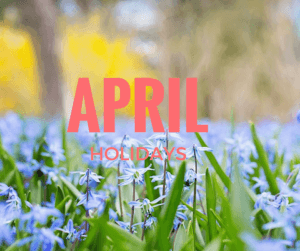 April is actually chock full of various holidays, some of which you and your clients may not have ever heard of. 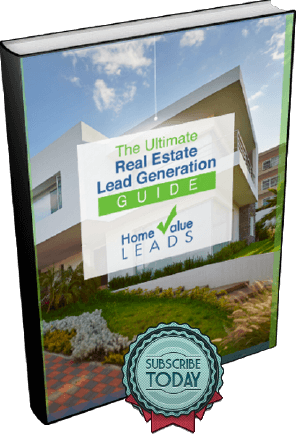 They make, though, some of the best content for social media, blog posts and newsletters. Here are some of April’s unique celebrations that you, as an agent, can use to your marketing advantage and how. National Walking Day, sponsored by the American Heart Association, is picking up speed (excuse the pun!) as a holiday that many people celebrate across the country. By encouraging walking as an easy way to get in that exercise, it’s definitely one worth highlighting. Take a video of you walking through a neighborhood as you highlight its walking trails or walkability. Create a cool walking map of open houses in a neighborhood to share on social media, in your next newsletter or on your blog. We do love those drinking holidays, and this one couldn’t be more clear. National Beer Day commemorates, in a way, the first step toward ending Prohibition when President Franklin D. Roosevelt signed a law allowing citizens to brew and sell beer. Cheers to that! Take a “cheers” shot of you at a bar after work to show off your fun side. Take an artsy shot of a pair of filled beer mugs at one of your listings by the pool or on a cool patio. Where would most of us be without the love of our pets? National Pet Day pays homage to our furry and even not-so-furry family members. Blog post about how to make your home more pet-friendly. Hot spots in a neighborhood near many of your listings or farm that welcome pets. Listing photos with a pet in each one. This holiday harkens back to the days when proprietors and service professionals really knew their clients. Luckily for real estate agents, getting to know your clients is a basic tenant of the profession. Feature your most recent and favorite clients on your blog and link to it on our social media channels. Conduct a fun poll on Facebook with interesting questions to get to know your clients and share on social media. There’s no better month to celebrate National Picnic Day than April, when the first signs of spring officially staying take root. Show off some of your listings who have the best backyards by staging a picnic outdoors. Feature a nearby park that has a fantastic lawn for picnics or picnic tables. We always this holiday when we got to go to mom or dad’s office. It’s equally exciting when your kids are old enough to join you at yours. Show off photos of you and your child on social media. Go one step further and create an Instagram “Story”, Facebook album or Snapchat Memory of the entire day. Go one step further still and write a blog post about it then share on social media. It’s the day everyone’s been waiting for: when pools across the country open! Maybe they don’t all open exactly on the last Saturday of April, but it’s exciting nonetheless. Take photos of pools at your top listings and post on social media. Take a video of you explaining pool care for the summer and include in a blog post. No time? Take a simple snapshot of you by a pool and write a clever caption to entice buyers that a pool should be on their checklist of listing features.